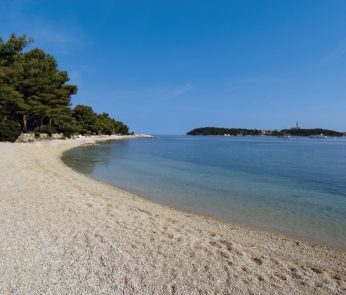 The island of Vis has some of the most beautiful beaches in Croatia which includes several very beautiful sandy beaches. The city beach on a small peninsula that stretches for a few hundred meters and is covered with fine gravel and pebbles. It is surrounded by tamarisk trees that provide shade on hot summer days. Near the beach there is a restaurant, a volleyball court and futsal. The beach is just a few minutes walk from the city center. The nudist beach stretches from Stonac Bay to Host Island. The beach is made of sloping natural stone slabs and rocks in the northern part of the port of San Giorgio. Access to the beach is guaranteed by a paved road and the shade can only be found at the beginning of the beach. It is located at the foot of the Giorgio Fortress and is the first external bay on the western part of the port of San Giorgio. This beach is also intended for nudists, and is made of sloping natural stone slabs on both sides of the bay. The beach is accessed by a road that leads to the bays of Parja and Rogacic and branches into vineyards. There is no shade on this beach. It is a beautiful sandy beach in the bay of Grandovac which is located at the eastern entrance of the port of Vis. The beach is surrounded by tamarisk trees that provide shade on hot summer days and is ideal for families with small children. Nearby is a small bar and a sunbathing area which was built in 1930. Near the beach there is a once prestigious building, the so-called Villa Cecca villa, which was named after the Czech trade unionists who, as the new owners rested in it between the First and Second World Wars. With the victory of anti-fascism, the villa of Repubblica Cecca became part of the JNA (YNA) whose official bodies resided in it for decades. Today the building is completely destroyed from the inside and testifies to the incredible negligence and irresponsibility of the preservation of historical heritage on the island of Vis in the last 20 years. This beautiful beach is named after the lighthouse and cloak of the same name and is located in a bay of a small tourist and fishing village. On this beach there is an excellent restaurant and beach bar, a playground for beach volleyball and plenty of shade under palm trees on the west side and under the tamarisks in the eastern part of the beach which makes Stoncica an ideal place for family outings. . The streets from Vis leads to the paved path with parking for cars from which you walk to the beach. A sandy beach located at the end of the bay of the tourist village of the same name, in the south-eastern part of the island. Although there is no natural shade, parasols and deckchairs can be rented on the beach. The low bottom that reaches the knees thirty meters from the beach, makes Milna the best beach on the island of Vis for the famous beach of the game of picigin, an amateur sport game that involves several participants forming a circle and holding the ball in the air more as long as possible. There are two roads leading to Milna: the old road through Podstrazje and the new one through Stoncica. This is certainly one of the most beautiful beaches on the Adriatic coast with bright, sparkling sand. This beautiful beach of your dreams is an ideal place for those who want to escape the summer crowd and enjoy the peace, tranquility and crystal clear waters. If you are bothered by the heat, you can find a place in the shade under the dense peaks of pine trees that lie behind the beach. On the beach there are no facilities apart from a restaurant where you can cool off and enjoy a variety of local specialties. Another sandy beach on the south-east coast of the island of Vis. 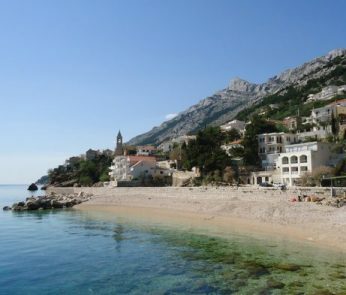 Smokova is the second in a series of bays after Stoncica in a south-easterly direction. This beach is a destination famous for surfers and lovers of natural beaches. At a distance of only two meters from the coast, in the eastern part of the bay, about 100 meters from the beach, there are submerged remains of the wings of a WWII airplane. The shade on this beach is under pine trees, a little deeper inland. This beautiful beach takes its name from the luster of its pebbles under the moonlight. 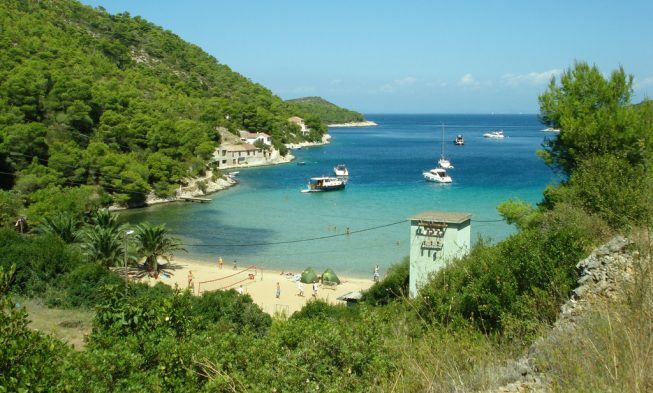 This is also the most famous beach on the island of Vis. Rich in pine trees, Srebrna is the most common choice for families with children. A large, spacious stone tablet that slopes down to the most beautiful beach in the western part of the island is partly covered by pine trees. Ample parking is located just 250 meters from the beach. 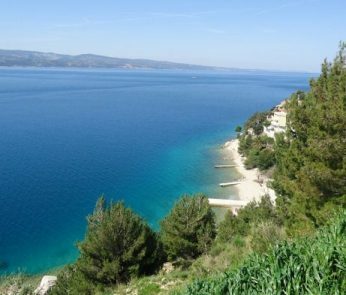 Another pebble beach, popular with children, is located in the south-western part of the bay of Vis, right at the foot of a small tourist and fishing village, Rukavac. And although the shade can only be found in a small pine forest above the beach, large stones in the northern part of the bay are in the shade after 17.00. This beach is made of blocks of stone that follow each other like waterfalls, making the units visually separated starting from the eastern head of the Bay of Srebrna more to the east, up to Capo di Punta Polivalo. This beach has been discovered by naturists and is inscribed as the best nudist beach on the island map. A path through the pine forest leads from the parking lot through the clearing above the Srebrna beach to the south. This is a beautiful little cove located in the southern part of the island, surrounded by sloping plains that gently slope the crystal clear water, which is always a couple of degrees colder than that of the nearby Srebrena beach. The reason for this is the fresh water in the bay as well as the ever-present western current that converts shallow waters around the cliffs into small swift currents. Mala Travna beach can be reached by following the trail. To the west of Mala Travna lies this magical bay surrounded by high stone cliffs that plunge into the crystal clear waters. Between the cliffs there is a small sandy beach that is visible only after you navigate through the “gateway” of the magnificent rocks. The Stiniva beach can be reached via a very steep goat trail, so it is not advisable to take small children. Given the fact that all sides are surrounded by high cliffs, Stiniva is always at least a half in shadow.